(The Root) — The holiday season is in full effect. Yuletide cheer in the form of cards and decorations began appearing in stores in October, as if Americans needed reminders that Christmas was nearly two months away. For some, the meaning of Christmas has gotten lost in the heavy focus on the gift giving and the perceived lack of focus on celebrating the birth of Christ. " 'Tis the season to be jolly" has been replaced with " 'Tis the season to make money," with the buzz of commercialism ringing so loudly that it often drowns out the classic holiday songs piped through the stores, music that many remember as the soundtrack to wonderful holiday gatherings, yet stokes the desire to buy more and more. Signs of recessions fade to the back as folks literally step over one another in a race to get that mass-produced or one-of-a-kind item that will put a smile on the face of someone special — even if you will frown when your credit card bill arrives next month. If I seem slightly "Grinchy," I am. Although I love the holiday season, I struggle with the commercialism that is aimed squarely at helping to stimulate the economy while decreasing our bank accounts and increasing credit card debt exponentially. So I decided that instead of being a Scrooge, I would find stores that actually give back to the communities that create their wares. With help from a group of students from Goucher's Peace Studies Program, I came up with a list of businesses that have the goal of giving back. If you notice that obvious choices like Toms, Bobs by Skechers and Product Red are missing from the list, it is because, through research, we have found that sometimes good intentions go awry. While Toms and Bobs intend to help provide shoes for folks who don't have them with their initiative to "buy-a-pair, give-a-pair" to someone in need, they often hurt local economies by taking away business from producers of shoes who actually live in the community, increasing the cycle of poverty. Product Red doesn't have that problem but suffers from what the Economist refers to as the "ineluctable middleman," in which the amount of money raised by the initiative, although in the millions, is a fraction of what is spent on the marketing, production and distribution. For example, in 2007 an estimated $100 million was spent in advertising and marketing for Product Red, but it raised only $18 million for the Global Fund to Fight AIDS, Tuberculosis and Malaria. I'm not saying not to buy a Product Red Gap T-shirt, especially if you're already shopping there, but know that proceeds from your purchase may not make it to the Global Fund. If it really is the thought that counts, here are some businesses you might think about patronizing during this holiday season. If these businesses don't interest you, then think about spending money with small businesses and entrepreneurs in your community. Seasons greetings! Heifer International's mission is major: to help end hunger and poverty throughout the world while caring for the Earth. Founded 67 years ago, Heifer initially started out donating cows to help provide real milk instead of powdered milk to impoverished communities. Today Heifer helps families empower themselves by improving their nutrition and generating income in sustainable ways. Heifer donates livestock and training to people living in poverty. In exchange for the help, families agree to give one of the animal's offspring to another family in need and to provide the necessary training for that family. They refer to the practice as "Passing on the Gift," which helps to create a network of hope and peace. Check out the catalog and see how you can give a gift that keeps on giving. Established in Baltimore shortly after the Civil War, the Woman's Industrial Exchange emerged as part of a nationwide exchange movement to help women in need discreetly earn a living. The organization has changed hands over the nearly century and a half that it has been in existence, becoming a boardinghouse and tearoom. The one thing that has remained constant is the exchange room, where initially women and now men can sell handmade and handcrafted wares to support themselves. It offers free gift wrapping and ships anywhere in the U.S.
You've heard the phrase "fair trade"? How about comercio justo? Esperanza en Acción was founded in 2002 to encourage fair trade by helping artisans in Nicaragua find fair markets for their work. Esperanza en Acción works with artisans living in poverty, whether they are organized in cooperatives or collectives or work in their homes with their families. Esperanza also provides social- and economic-justice education both in Nicaragua and through its Economic Justice Education Center and Fair Trade shop. The artisans make beautiful handmade pottery, pine-needle baskets, bamboo baskets, stone carvings, paintings, weavings, jewelry, cards, animal whistles and more. Founded by Bethlehem Tilahun Alemu in Addis Ababa, Ethiopia, SoleRebels is the world's only certified World Fair Trade Organization footwear company. 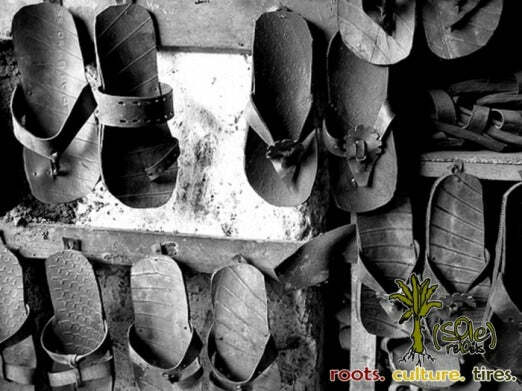 Alemu looks at creating footwear as a means of creating hope, borrowing from the traditional "selate" and "barabasso" shoes — for which the soles are made from recycled tires — that have long been a tradition in Ethiopia. Macy's offers an extraordinary collection of handcrafted art that helps make change and hope possible in Rwanda and Haiti. The Heart of Haiti initiative has provided some of the first sustainable work since the January 2010 earthquake, enabling Haitians to make a living and support their families with dignity and purpose. Thousands of Rwandan weavers throughout the country make crafts in order to reduce poverty through job creation, improve incomes, access global markets and develop job skills that will help women pull themselves and their families out of poverty. The weavers are Hutu and Tutsi, representative of both sides of the 1994 conflict who work side by side, building respectful relationships and reconciliation while weaving. Macy's gives artisans half the wholesale price of each item sold. Not only is it fair trade, but it also gives women a fair chance at recovering from one of the deadliest conflicts in recent history. If that isn't a gift that gives back, then I don't know what is. Based in Kampala, Uganda, Sseko Designs helps women overcome poverty by earning scholarship money to be used toward their college education. Sseko Designs provides employment during the nine-month gap between high school and university in which high-achieving young women are able to earn and save enough money to pay for college tuition. Fifty percent of their salary goes into a savings account each month, which is not accessible until tuition is due, ensuring that the income goes toward education. This caveat protects the women in the program from the social pressure they often feel from their families to give away the money they earn, which can perpetuate the cycle of poverty. At the end of each term, Sseko Designs grants university scholarships that match up to 100 percent of the savings each woman has made during her nine-month session with Sseko. Sseko Designs uses fashion to provide opportunities for women to educate themselves and become leaders in their communities while lifting themselves out of poverty. That is truly a gift that continues to give back.